Alex was an excellent student and we, at CCS, are so proud of him! 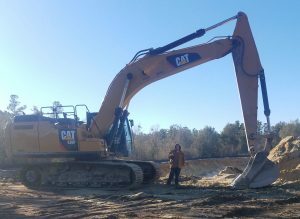 Alex Ramirez is working with us at Cleland Site Prep and is a good addition to our team. Please refer future trainees to us as well. Mr. Cleland, we certainly will and thanks for you comment. It’s very obvious when talking with Alex as to how much he enjoys working for Cleland.